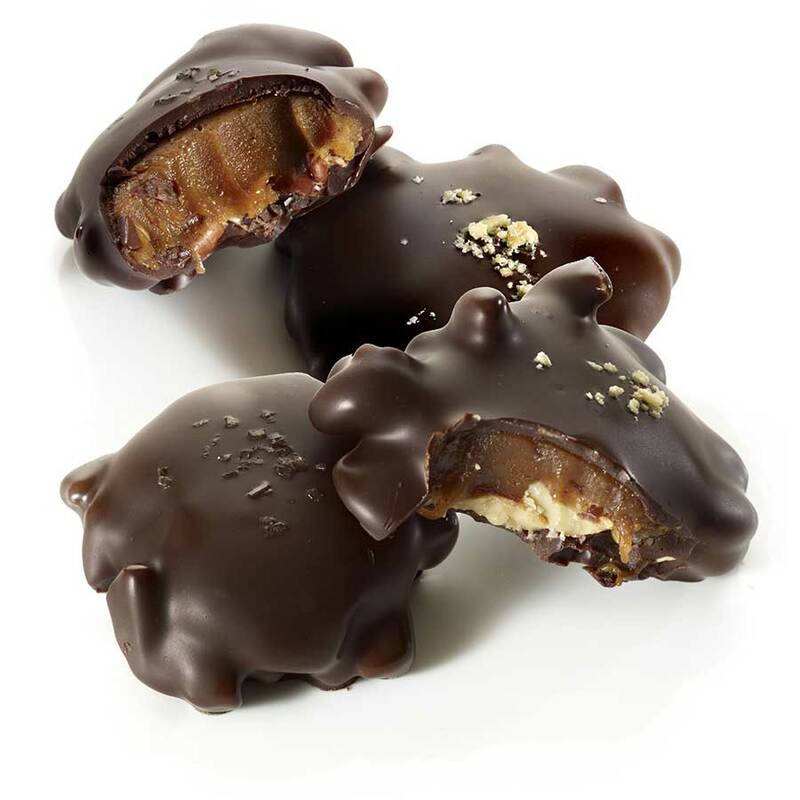 Our Caramel Comfort Tower is the perfect way to enjoy our Chocolate Caramels and our Chocolate Tortoises and our Chocolate Honey Caramel Bees- a caramel trifecta! 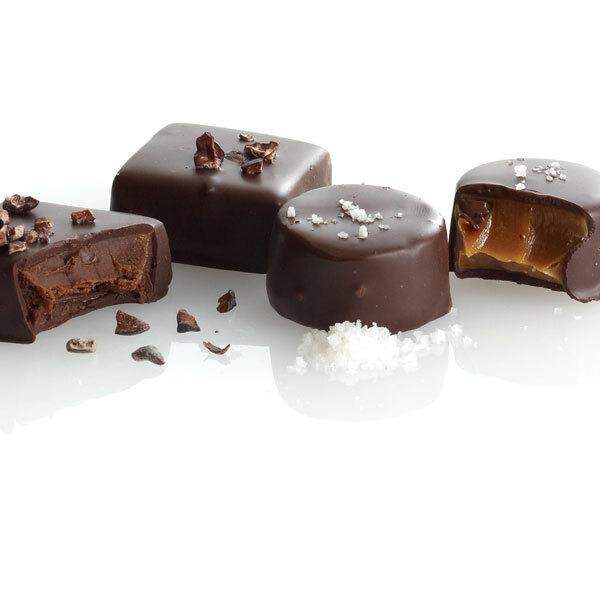 We include a 4-piece box of our deeply dark caramels topped with fair trade cocoa nibs and our lightly salted caramels topped with Himalayan sea salt. We took Aesop's Fable, The Tortoise and The Hare, to heart when we were creating our variation of the classic "turtle." 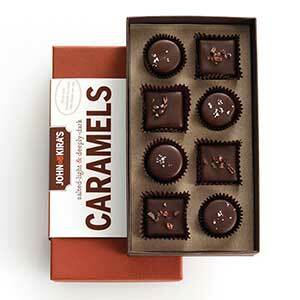 The set of twelve features six Maple Pecan and six Cinnamon Cashew Tortoises. 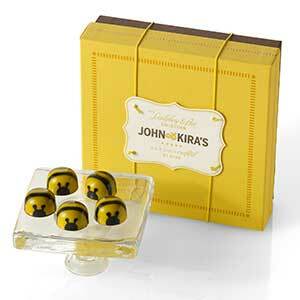 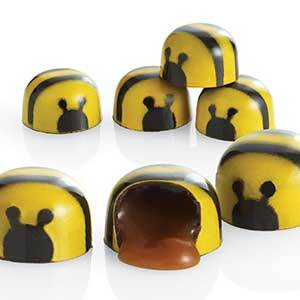 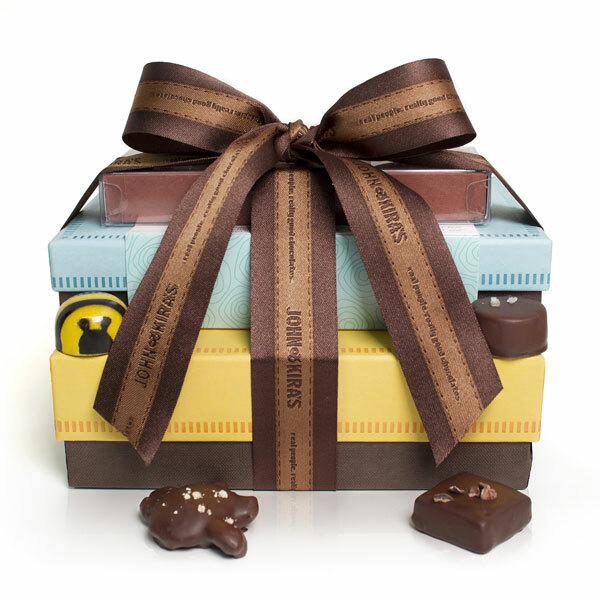 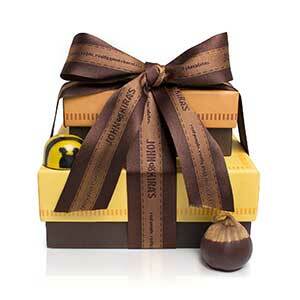 Our Chocolate Honey Caramel Bees have a liquid caramel center and a clear, caramelized honey taste. This unique flavor comes naturally from the fragrant basswood honey we use, supplied by the Draper Family Apiaries in Millerton, PA. Once filled, each of the nine bees is carefully painted by hand with a paper-thin layer of yellow and black cocoa butter. Maple pecan and cinnamon cashew enrobed in dark chocolate.